Nice suprise to turn on the radio last night and hear the master back on the “Coast To Coast” all-night radio program. Apparently Mr. Bell was back in Manila on business and did a show from his condo in the Philippines. It was a “blast from the past” reminiscent of “Coast To Coast” programs in the 90s. Tucked in my RV, I’d listen to the show – all night long – while parked in the desert just outside Pahrump (Nevada) a few miles from Art’s house. In those days, AB was broadcasting from his home in Pahrump, after moving to Pahrump from Las Vegas, where he began the overnight show. In Las Vegas he was broadcasting from KDWN. Old School! New School! 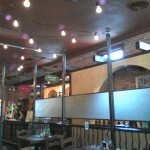 Two Italian Restaurants In Denver: PATSY’S INN Italian Restaurant and PARISI Pizzeria, Deli and Trattoria. Imagine a Marty Scorsese film: Brooklin, NY (1959) “A quiet summer evening in a neighborhood restaurant – cut to a Ted Williams’ Louisville Slugger.” Somebody “whacks” somebody. Ba-Da-Bing! Ba-Da-Boom! The End! Fugedaboudit! Chicken or Eggplant Parmesan – Tender chicken breast rolled in seasoned bread crumbs, or seasoned baked eggplant. Topped with Patsy’s original spaghetti sauce, parmesan and mozzarella, with homemade spaghetti ($14.00) Check the menu on Patsy’s website for more entrees. 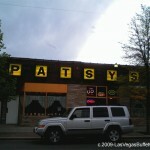 We were told that a relative of the original owner/family (The Aiellos) is the new owner and proprietor of Patsy’s Inn. 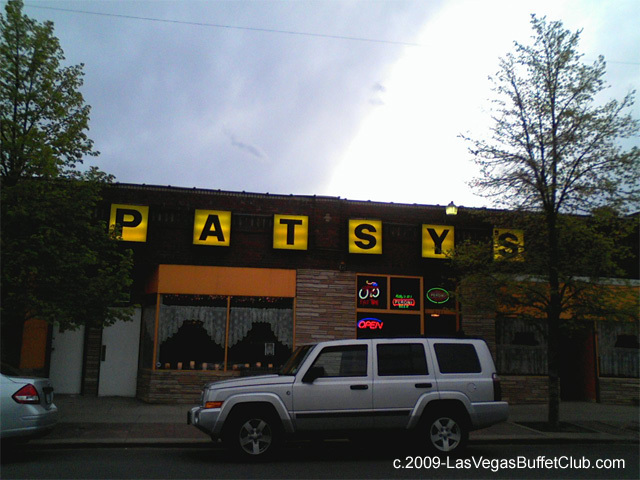 Patsy’s has a huge parking lot on Navajo – 1/4 block north of the restaurant. Ordering food offers a twist: walk up to a counter, order and pay. One is issued a seat (by number,) one sits – someone brings your order to the table. On our first visit, we ordered the Lasagne ($7.49,) and a dinner salad (1.99.) First blush revealed an unexpected sight: the plate of Lasagne had an orange tint. Whoa, it looked as though the Lasagna was topped with grated, yellow cheese. Whew! We inquired and found out the orange color was from grated carrots. Although not a large portion, and a bit overcooked the Lasagna was good, still a bit different. The nice mixed-greens / spinich, dinner salad was a deal at two bucks. 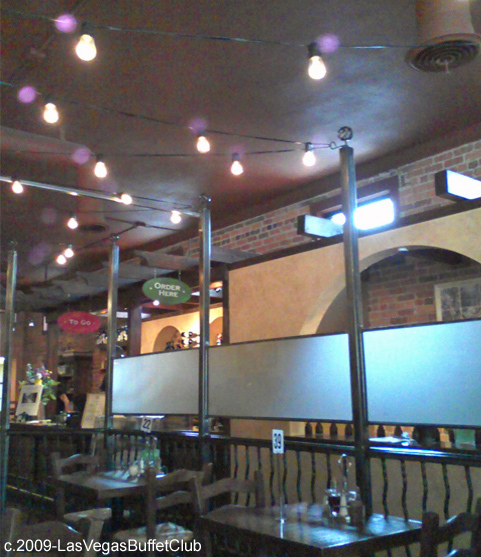 I want to return to try the gnocchi, spaghetti and pizza. Overall the expierience was positive. “firenza a tavola“ is a formal restaurant “secretely found down the stairwell adjacent to our ordering line.” Part wine-celler, part high-end, basement restaurant, “firenza a tavola“ is very warm and cozy, with a 2nd (small) bar. The Moon will be 100% Full on May 8th, at 9:01 PM – Las Vegas Time. The May 8th Moon Rises at 7:37 PM and Sets at 4:59 AM – Las Vegas time. click the figure (below) to find information on a particular tribe’s moon names. The Adobe Moon In The City graphic at the top of the page includes a generic full moon photograph which was shot from downtown Las Vegas in the 90s. It was “Photoshopped” into the “frame.” The poster is available for purchase. “Working off a roster of the reputed 50 “most prolific prostitutes” in Clark County, Las Vegas police and prosecutors are taking unprecedented steps to keep repeat prostitution offenders off the Strip.